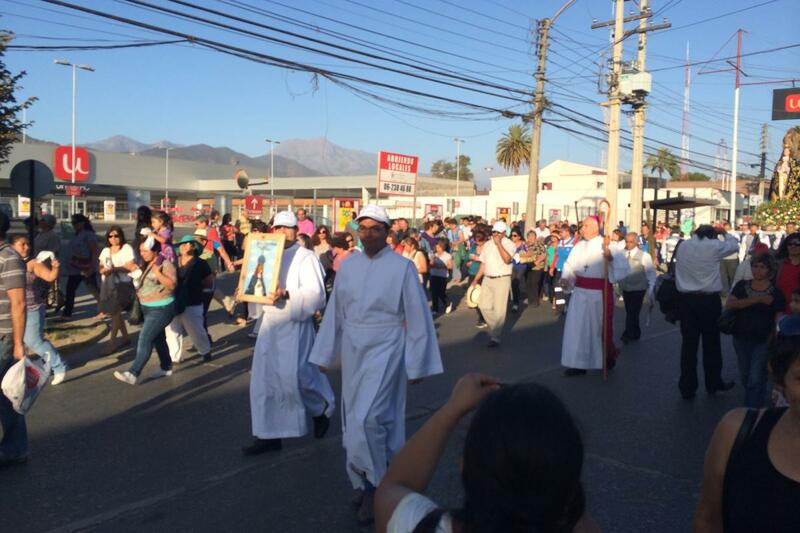 The Feast of the Virgin of the 40 Hours has been celebrated in Limache, Chile, since the 19th century, and expanded significantly in the 20th. The image is said to have been found by fishermen floating in a cask in the sea, and its name connects it to the 40 hours’ devotion before the start of Lent. The feats begins 40 hours before the last Sunday in February with Masses every hour, culminating on Sunday with a procession through the city.